.Thinking of working from home or making extra money? Don’t be tempted by the business opportunity ad that you see. Watch out for scams! Whether on the Web, in your newspapers and even at the back of small business-oriented print magazines, you’ll often find ads for work at home business opportunities. There’s the “Google” money tree scam , the ever-famous typing from home scam,, and the grant scams . All of this work at home scams promise big rewards in terms of earnings, marketability, and merchandises that turns out to be nothing. To prevent getting ripped off by these work at home scams, it is important to look at these ads and offers with a skeptical eye. Scambusters.org strongly recommends that you should never, never pay for the chance to work. Do your research and learn more about this business and the company offering it. Check out the Better Business Bureau and search through various scambuster sites. TODAY Show recommends that you remain on high alert for hype. What is the basis for your claims about my likely earnings? Do you survey everyone who purchased the program? What documents can you show me to prove your claims are true before I give you any money? 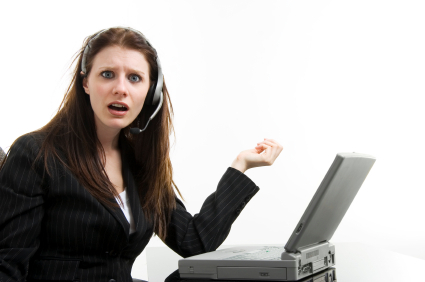 Don’t allow yourself to get duped by work at home scams. Be smart.